It’s never been done before. In the history of timeshare release never has a company provided so much transparency in their operations. There is no other company who provides hints, tricks, and tips on how to get out of your timeshare on your own. All our competitors want to charge you for many of the things you can do on your own. The fact is, there are a select number of resorts that may actually allow you to abandon your timeshare legally. Not only does our FREE phone consultation explain secrets that can help you liquidate your timeshare on your own, but we also provide honest input in assessing a fair market value of your timeshare to determine if your timeshare has value or if it must be liquidated. SAVE THOUSANDS WITH OUR SERVICE. Distressed timeshare owners from all over the nation choose our services for a multitude of reasons. The primary reason our clients use our services is because we offer honest, low-cost, no haggle pricing with a 100% money back guarantee. When comparing us to our timeshare giveback competitors, you will notice a tremendous savings. Save thousands by using our service. Also, we have received tremendous positive feedback from our clients because of our FREE help articles. Another important factor is the savings you will realize when shopping against our major competitors that offer giveback timeshare. In order to make sure our customer satisfaction rate is as high as it can be, we collect Redemption and Release reviews as a final step in our Timeshare Redemption process. To our delight, our clients are almost always happy to share their experiences with prospective customers. 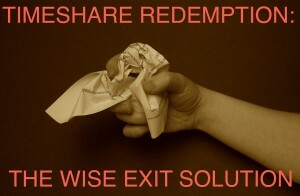 The two most popular reasons why people have chosen to work with Redemption and Release are “price” and “trust.” Redemption and Release reviews have shown that most clients that choose us have already searched the Internet for an average of one month looking for the right solution to their timeshare cancellation problems. Finding a company with the right combination of a great price and a top-notch reputation is difficult and frustrating. The timeshare industry in general is inundated with scam artists and fraudsters, seeking to take money from those who mistakenly put their trust in the wrong people. Having already fallen prey to the “hard sell” tactics, confusing fee structures and half-truths of timeshare industry. That’s where Redemption and Release reviews come in. Reading the genuine feedback of those who have been through the timeshare redemption process at Redemption and Release is the best way to find out what to expect. No other website for timeshare release provides FREE articles that helps you compare us against our competition. Thousands of timeshare owners from around the world are speaking about our company and our organic effort to collaborate on sharing our experiences and “insider information” on the easiest ways to get you out of your timeshare. Our goal is simple, help those who need it most with a fair price and an open and honest conversation. THE NATION’S ONLY TIMESHARE REDEMPTION EXPERTS.